Steve Wojciechowski has a close relationship with Harvard head coach Tommy Amaker. 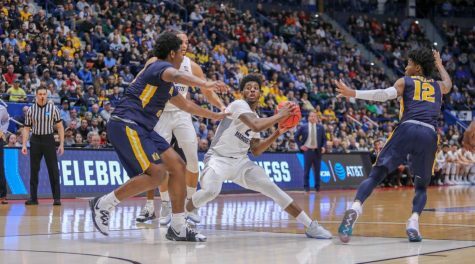 The beginning of postseason tournaments means trading the familiarity of conference play for more obscure opponents. 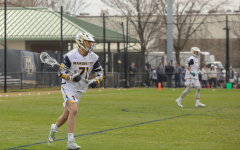 Marquette’s first National Invitational Tournament game against the Harvard Crimson is a good example. It took nearly 101 seasons for the Golden Eagles (19-13) and the Crimson (18-13) to play their first game against each other. 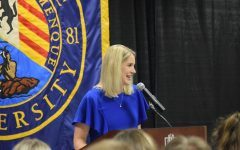 When head coach Steve Wojciechowski learned the team was playing the Crimson, he said he hadn’t seen much of the Ivy League’s regular season champion during the year. 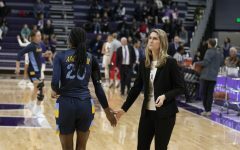 “I follow them as much as I can, but that’s hard during the season because you’re so engrossed in what you’re doing,” Wojo said. 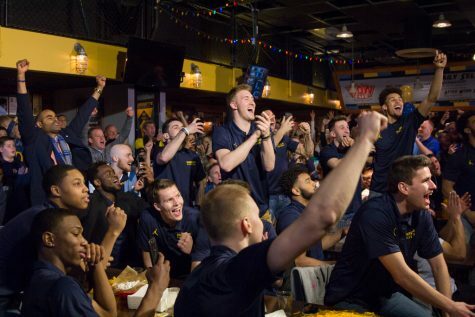 Marquette fans probably haven’t watched Harvard games either. The teams only shared one common opponent this year: the Vermont Catamounts. 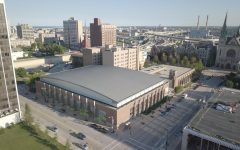 Tipoff is at 6 p.m. CST on ESPN 2, and the game will be on campus at the Al McGuire Center. 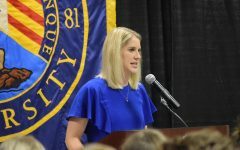 Wojo isn’t the only former Duke point guard to lead a Division I basketball program. Harvard’s Tommy Amaker ran the Blue Devils’ offense from 1983-’87, 11 years before Wojo arrived in Durham, North Carolina. 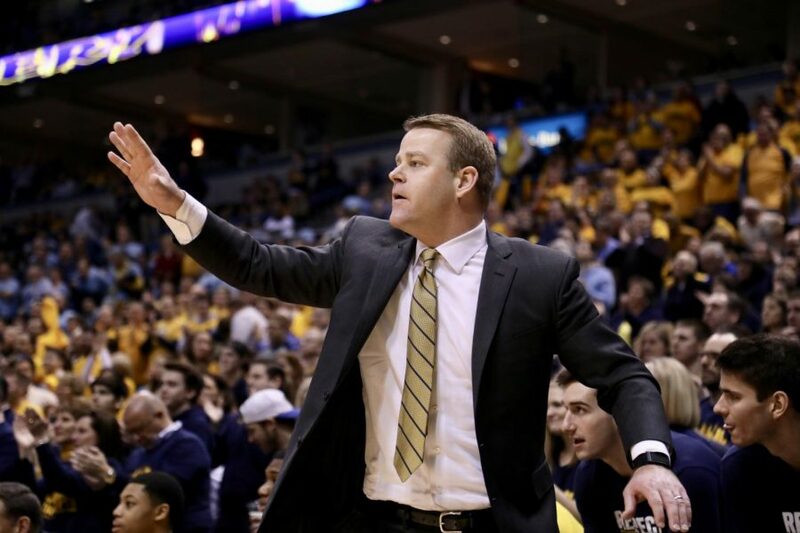 By the time Wojo stepped on campus in 1994, Amaker was an assistant under the legendary Mike Krzyzewski, who had already won two national titles and would go on to win three more. Amaker and Wojo bonded quickly. Wojo became an assistant on Krzyzewski’s staff in 1999, but Amaker already left to be the head coach at Seton Hall. Wojo stayed on as an assistant at Duke for 15 years while Amaker added a stop at Michigan before landing at Harvard in 2007. 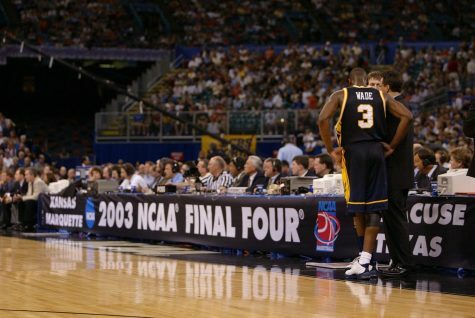 While at Michigan, Amaker played Duke twice with Wojo on staff and lost both times. If not for two key injuries, Harvard would probably be in the NCAA Tournament. The first of those injuries occurred in December when sophomore combo guard Bryce Aiken went down with a knee injury. He missed four games after the initial injury and attempted to come back on two separate occasions before being shut down for good at the beginning of February. Prior to his initial injury, Aiken averaged 18.6 points per game. 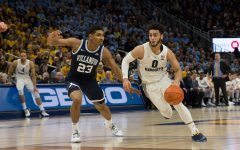 Power forward Seth Towns joined Aiken for the most important eight minutes of Harvard’s season: the final eight in the Crimson’s Ivy League title game loss to the University of Pennsylvania. Towns, who averaged 16 points per game and 5.7 rebounds per game, is day-to-day with that knee injury. 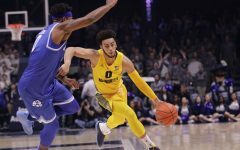 His status Wednesday against Marquette remains unknown. 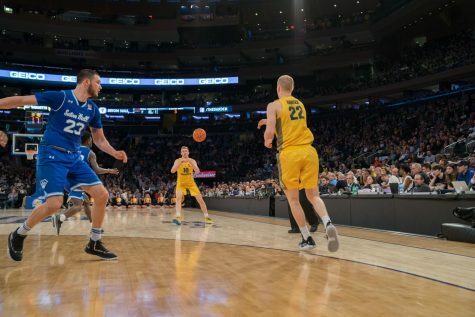 Golden Eagle big men Matt Heldt and Theo John will get a workout guarding sophomore center Chris Lewis, who plays 66 percent of the Crimson’s minutes at the center position. Harvard’s Lewis and Marquette’s John both block 7.2 percent of two-pointers taken while they’re on the floor. Lewis has had a much larger role, playing 64.2 percent of possible minutes, compared to just 26.4 percent for John. Blocking shots isn’t Lewis’s only skill. 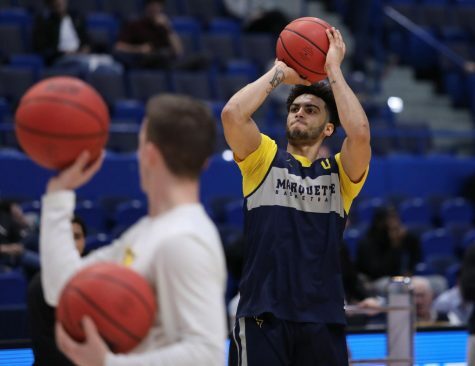 He is also one of the most effective close-range shooters in the country, connecting on 60.4 percent of his two-point shots. Marquette has actually been reasonably successful at limiting the impact of top big men this year. 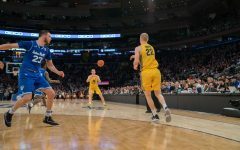 Wisconsin’s Ethan Happ and Seton Hall’s Angel Delgado could not dominate the Golden Eagles in the same way ball-dominant guards like Villanova’s Jalen Brunson have. If Towns is unable to play, the Golden Eagles may find success double-teaming Lewis to trap him along the baseline. Don’t expect a lot of free throws and don’t expect many misses. 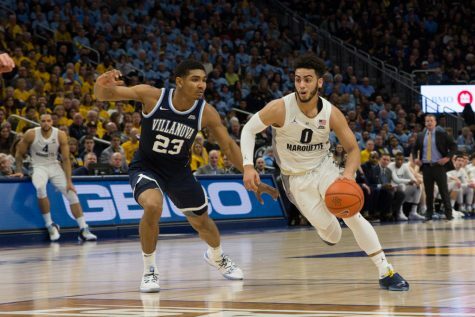 Both Marquette and Harvard are in the national top 10 in free throw percentage. The Golden Eagles shoot 79.6 percent from the line, with Harvard right behind at 78.9 percent. 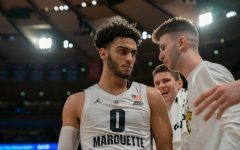 Marquette senior Andrew Rowsey and sophomore Markus Howard each hit over 90 percent of their free throws. Neither team is in the habit of drawing many fouls, though. 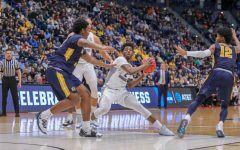 Marquette’s 28.4 percent free throws attempted per field goal attempted is 306th out of 351 Division I teams. Harvard is 324th in the country at 27.5 percent. 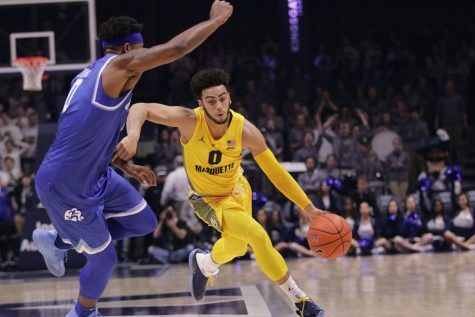 Only two teams on Marquette’s schedule — Creighton and Butler — had lower free throw rates.